I have been using Todoist for one month now. I miss Wunderlist (especially the blue gradient background), but I’ve found a workflow that suits my productivity preferences. One thing that stood out when I first switched and didn’t yet have Premium features was the way I used URLs in Wunderlist. I hadn’t realized it was such a big deal until I made the switch. For the record, I thought about including this in my initial switching post, but it’s such a niche usage that I thought I’d isolate it for people who are looking for this specific problem and not really anything else. Maybe the search engine algorithms will do us a favor. One of my favorite Wunderlist features was that I could paste a URL into any item’s title and have it stay a URL but also become instantly clickable. I got used to seeing the bare URLs. Sometimes I want to see the bare URL. I even found a Firefox extension that gives me bare URLs from Google search results so I could paste them right in without having to click, wait for Google to process, and finally copy the real URL. It was a solid workflow, especially with well-formed URLs (the kind that use words instead of numbers, so you have some idea where the link is taking you). 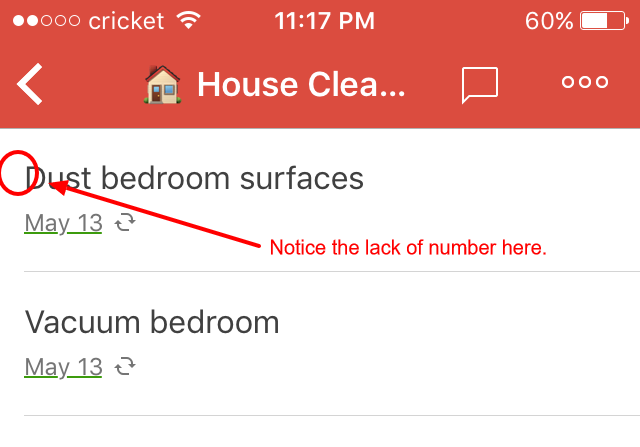 Todoist has one feature I found supremely annoying. My imported URLs were still there, but they didn’t display as bare URLs anymore. Todoist automatically changes any URL to a hyperlink. So for the first time in recent memory, a “feature” was a nuisance for me. I tried deleting Todoist’s automatic link titles (the words you click on). It just converted them again. I tried adding the URL as a comment. That’s a Premium feature. I tried using parentheses or brackets around the bare URL. The URL was no longer clickable. You can’t use carets in URLs, so there’s no chance it will get mixed in with the link. I don’t even generally see carets in page titles, and I don’t use them myself, so they don’t look like part of any normal text. Todoist still converts the URL, but it leaves the caret alone. I ran a search for “http” and found all my imported tasks with URLs. (There were many.) The simpler-format URLs (without the “http://” part) won’t convert, but they also won’t be clickable. I had to update all my URLs by hand, but it worked. Hooray! Now that I have Todoist Premium, I just paste my URLs into comments. The automatically-converted URLs actually look quite nice there. This was a specific example of the reason I didn’t stick with Todoist when I was first looking for a task manager: I had to pay to get what I considered basic features. Sadly, nothing has changed. I became a power user with Wunderlist, and there’s no going back now. Check out my previous post for a little help with the problem of paying for Premium—and if that doesn’t work anymore, please let me know! I did it. After many happy years using Wunderlist as my task management tool with the Getting Things Done (GTD) system, I have switched from Wunderlist to Todoist. This is the first time I’ve ever switched task managers. In some of my GTD reading and podcast listening, I’ve discovered that switching GTD apps is not uncommon. It just sounds so messy. I spend enough time refining my system already; I really just need to get to the “doing” part! I started out not using tags at all. I have never been into contexts (a statement which is GTD blasphemy). I use way more due dates than by-the-book GTD allows. However, when I started applying GTD’s concepts of Projects and Next Actions in more detail, I found a use for tags in Wunderlist. I kept a Wunderlist list for each Project, with a minimum of two items per list: the Next Action and the desired outcome. The name of the list was an abbreviated version of the desired outcome, since the sidebar is only so wide. 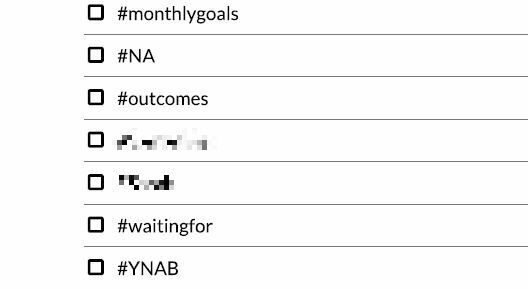 I marked each Project’s Next Action with “#NA” at the end of the task title, and I marked each outcome with “#outcomes”. The tags were clickable, giving me a very easy workflow for my weekly review. No matter where that item appeared (in my Completed list, in a search, etc. ), I could tell it was a Next Action (or outcome) and for which Project. I wish Wunderlist had offered an automatic list of all the tags you’d created. It was awesome that tags would auto-complete as soon as you typed the hashtag symbol! That showed the data was stored somewhere specific in the program. However, there was literally nowhere else you could view all your tags except in that drop-down. I solved my wish for a task index by creating a list called “Tags.” I used the auto-complete drop-down to create one item for each tag. It took less than a minute. Blurred for privacy, but otherwise my real tag index. I had to fix things when I switched to Todoist, but my homegrown tag index came in handy for remembering what tags I’d used. Todoist uses labels to provide the functionality that Wunderlist called “tags.” I think “tags” is the more universal term for that function, largely thanks to Twitter and Evernote, but Gmail calls the same function “labels,” so maybe that battle over nomenclature will never end. Converting my old tags to for-free labels seemed like a huge undertaking—until I realized that Todoist allowed me to view all of the items from all my Project plans lists in one long screen, because I kept them in a single folder in Wunderlist. I simply scrolled down the screen, looking for NA’s and outcomes in each project, deleted the plain-text-starting-with-a-hashtag-symbol, and used the inline language parsing feature to specify “p1” or “p2.” Once I’d finished, I appreciated the way Todoist changes each task’s checkbox (which is actually a circle, not a box) to the color of its priority. The red and orange really stand out! Image from the [Todoist Support page on priorities](https://support.todoist.com/hc/en-us/articles/205873321-Priorities). The only missing part of my solution is how to handle a Project that has worked its way down to one task: something you’re waiting for that is the last remaining action (and therefore also the Next Action and the desired outcome). I’d suggest using just the Priority 1 flag since the fact that you’re waiting for it is the main reason it’s not done yet. For a Next Action that is also the desired outcome but for which you are not waiting for something, I would still use just the Priority 1 flag. If you’re looking at your system for Next Actions, you don’t want to miss one that’s doable just because it looks like an outcome. So, since my Wunderlist tag for items to do or discuss with Mr. Man was “#MrManAgenda,” I would write “MrManAgenda” in any new agenda items, and I would remove the plain-text hashtag from imported agenda items. Then, when I sat down with Mr. Man, I would search Todoist for “MrManAgenda” and be all set. Converting to Todoist made me realize that Wunderlist’s free tier was probably too feature-rich for zero dollars. I got used to having power-user features for free. Todoist doesn’t give you those for free. I started missing Wunderlist very quickly. As I described above, though, I was well on my way to making Todoist free work for me. Just like when I started using GTD, I did some Googling for how to best use Todoist… and if there was any way to get free Premium time beyond the 30-day trial. Astute readers might have already figured out what happened: I got four free months! I had spotted a few posts with promo codes for free Premium, but they were old enough that I thought the promotions had surely expired. Nope! To get free Todoist Premium, go to todoist.com/redeem and enter the codes 1MillionTasks (for 1 month) and skillshare (for 3 months). They are stackable, adding up to four months total, and they worked for me as of April 30, 2017. I was very surprised, but also very happy! Todoist’s smart due dates are very useful. It is so nice to type “every month on the second Wednesday” and have all my computer cleaning tasks schedule themselves just right! 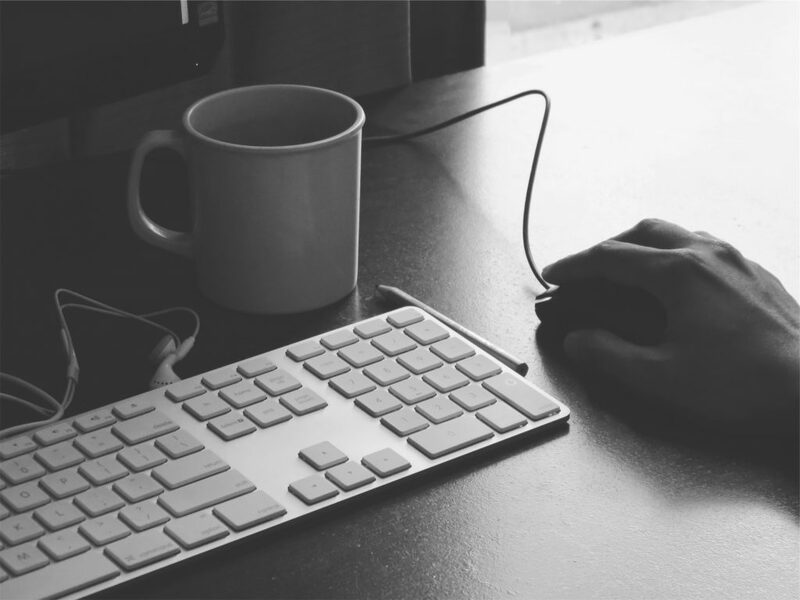 My checklists (for computer cleaning, house cleaning, blog posts, etc.) had all been preceded with numbers to allow easy sorting in Wunderlist. 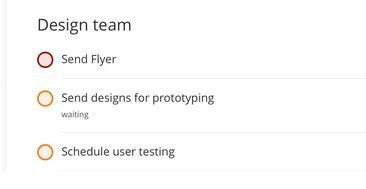 Those came over to Todoist, but not quite seamlessly. This is a known bug. I just took the numbers out, so they don’t show up anywhere now. The recurring tasks seem to stay in the correct order when I complete them out of order, though, so that’s okay so far. Completed tasks can’t really be deleted from Todoist, which would have been terrible for my personalized Weekly Review if I hadn’t found another solution almost instantly. I use an IFTTT (pronounced like “gift”) recipe that adds a line to a Google Sheet every time I complete a task. I review that sheet each week, add a line so I know where to start reviewing next time, and skip the step from my old procedure where I deleted everything. It’s working well. how to move a recurring task to your to history without deleting it as though it never existed. 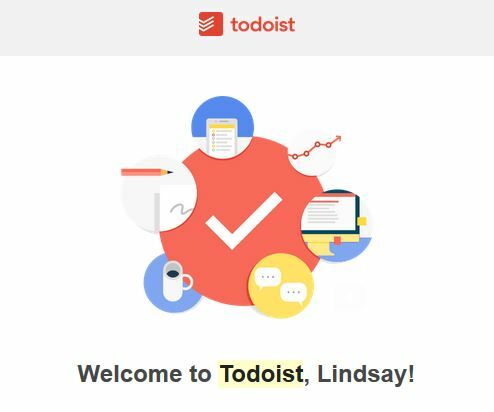 I miss Wunderlist, but I’m excited about the possibilities that Todoist is offering me. It took several hours to get up and running, and of course I’m still tinkering with my system, but I am still getting things done.